Challenge . Chanel . EOTD . Eyeshadow . FOTD . L'oréal . Look book . Makeup . MOTD . Palette . PanProject . Plum . Purple . shoppingmystash . Winter . The last Friday of the year, and we can officially start counting the hours for 2018! 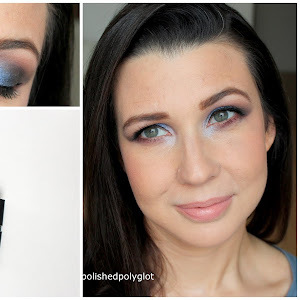 We are in the middle of Winter here and I thought it wouldn't hurt to show you one more Winter makeup look! I decided to start this new series of posts here on the blog that would allow me to commit to "Shopping my stash", which means going through products I own instead of buying new ones. I have decided that each month I would pick an eyeshadow quad or quint from my collection and use it during the whole month. 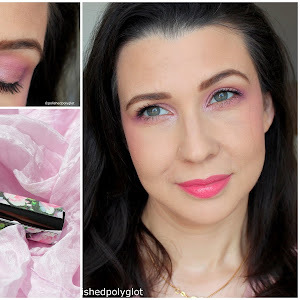 The month of December I've been playing with Chanel Quadra Eyeshadow Signe Particulier and today I share with you one of the looks I came up with. Chanel Quadra Eyeshadow Signe Particulier was launched in 2015 for Christmas and it was a Limited Edition (LE). 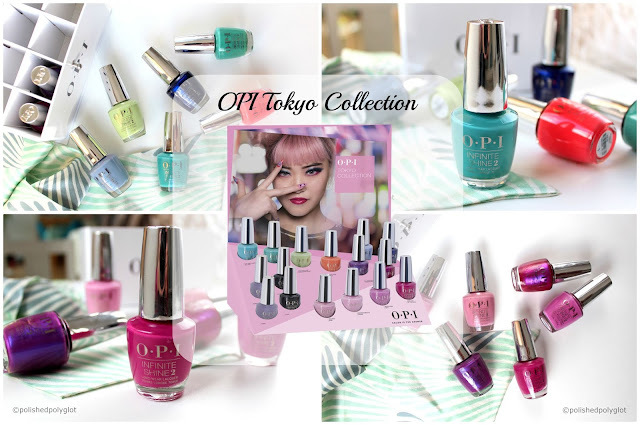 I am not a fan of presenting you LE products when they are no longer available, but this post is a special case, as I'm trying to use my collection more! Especially the LE items. This palette was featured in a blog post where I also show you my first look created with it here, when it was still available, but I didn't write a proper review. This quad was not highly rated in reviews, but I really like it and find it very wearable for me. I think the gold colour is gorgeous and the taupe is perfect to be worn alone. A very warm gold with very cool shades of pink and plum, I think is a perfect combo! I haven't used it for a year or so, what a pity! I thought this little quad would be perfect for December, and I used it quite a lot this month. There is one particular look that I loved so I recreated it to share it with you. My Winter look with "Signe Particulier"
- Makeup Geek Highlighter in "Luster"
- L'oréal Color Rich by Balmain Lipstick in "Liberation"
I have done so many looks with this palette, of all the Shopping my stash challenges up to now it is the one I used the most! It doesn't seem like it, but it is a great everyday option, that can be easily upgraded to a night out. This is my favourite look, using a gradient of the taupe and plum on the crease, and the light shade in the centre of the lid. I have published another look with this palette recently, here. What about you? Is there any piece of makeup in your beauty case that is not getting enough love? Let me know in the comments!